You can expire a questionnaire as needed. 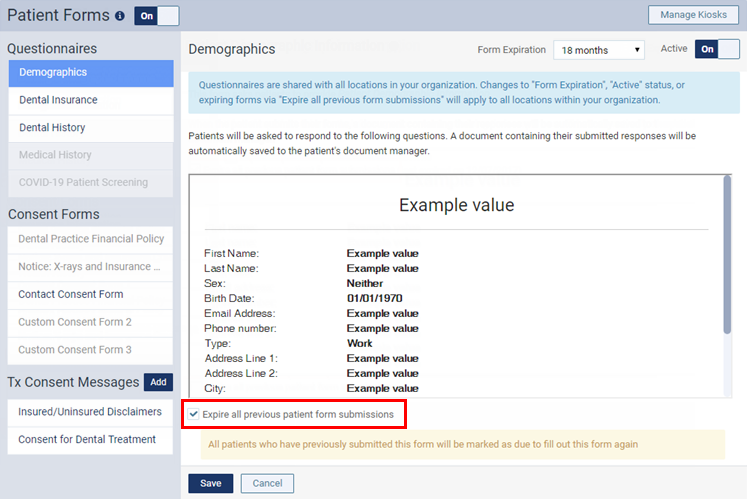 Expiring a questionnaire resets the due date of the form to the current date for all patients, regardless of what the expiration date was before it was reset. So, any patients who completed the form previously must complete it again. Note: The expiring of a questionnaire is organization specific. On a location's Patient Forms page, under Questionnaires, select an active form (the name will be in black text to indicate that it is active). Select the Expire all previous patient form submissions check box.